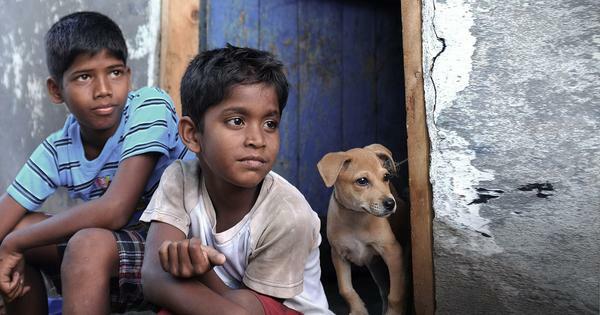 Kaakkaa Muttai (Crow's Egg) is an innocent, honest and sincere tale of two kids in the slums of Chennai and their desire to taste a pizza. It can rightly be called India's answer to Majid Majidi's Children of Heaven. We rarely get such movies. Usually most of our children's films go beyond the level of children. Kaakkaa Muttai is a rare exception. It's not just a children's film. It is for every sensible moviegoer. Because the film itself is a sensible attempt to portray the way our society functions. It discusses how the society divides it's population into different layers and beyond caste and religion how discrimination works. Kids in the lead, Vignesh and Ramesh, steal the show. Our movies always follow a cliched pattern to portray the Indian slums. Poverty, prostitution, goons, beggars and more are there in the list. But, Kaakkaa Muttai has its own way. A beautiful one.It focuses on two kids' world of happiness, little desires, sorrows, helplessness, efforts, fun and everything. This film doesn't even use a single frame that deviates from the world it portrays. Debutant director M. Manikandan has added a new tone to Tamil cinema with this National Award winning film. As producers, Dhanush and Vetri Maran deserve a big applause. Cast, production and everything is just perfect. Kaakkaa Muttai doesn't exaggerate a thing. It doesn't try to create sympathy. Instead it leaves you with a smile and a true amount of happiness.